In order to run Java application you need to have first installed Java on your Mac or Windows laptop or desktop. It’s absolutely required to complete Java setup right way for your production & development applications. If you are a first time Java user then first step is to go to official Oracle website and download JDK. How to fix JAVA_HOME error while starting Tomcat Server? Why i’m getting jre_home is not defined correctly tomcat error? How to set jre_home environment variable? How to set jre_home via command line? 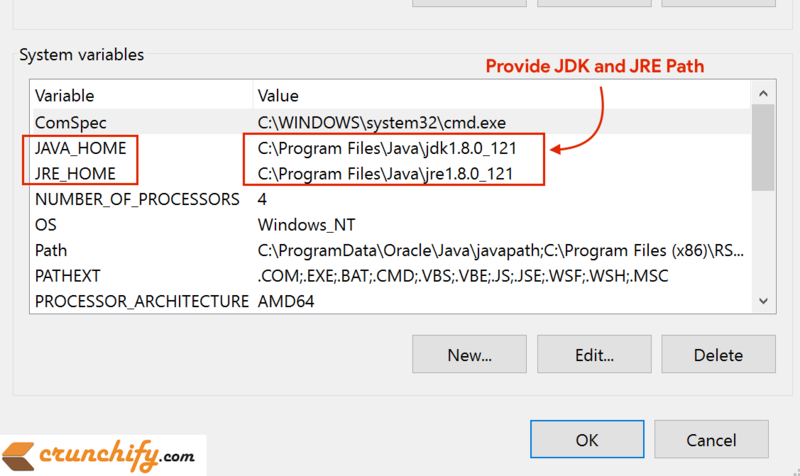 In this tutorial we will discuss how to install Java, setup JRE_HOME & JAVA_HOME environment variables on Windows platform only. For Mac and Linux, I’ll publish another tutorial with all detailed steps later. At this time, you are all set. How to verify if JAVA_HOME and JRE_HOME environment variables setup correctly or not? That’s it. Let me know if you face any issue installing Java on your laptop. Make sure to update Java version number as per your installation in above steps. Happy coding and happy open sourcing. What is a difference Between JRE and JDK? Ideally JRE provides runtime environment for your application. While running your development or production environment, you just need JRE. On other end, while you are developing Java application, JDK provides more debugging and development functionalities which wont part of JRE.